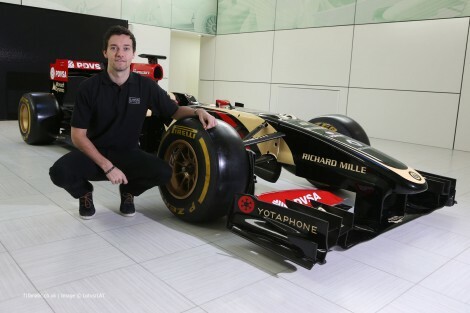 Lotus F1 Team announced today that 2014 GP2 champion Jolyon Palmer has been signed as their third driver for this year. Palmer has driven Formula One machinery before, most recently for Force India at the end of year test in Abu Dhabi last year. He had been hoping to be signed by Force India as a third driver before his offer from Lotus materialised. “My main aim is to race in Formula 1 so I’ll be working as hard as I can on every aspect of my new job,” Palmer said, “Working as a third driver is the next best thing to being a race driver. I’ll be working with the engineers throughout the season whether I’m in the car or not. The team also confirmed that Palmer would be taking part in a number of practice sessions during this season. 2015 car launches begin tomorrow with Force India revealing their challenger in Mexico. McLaren-Honda will unveil their highly anticipated MP4-30 on the 29th of January, with Ferrari revealing their first car for Sebastian Vettel a day after. Toro Rosso will introduce their 10th car to the world in the 31st, with the reigning champions Mercedes unveiling the car they hope to retain the title with on the morning of the first pre-season test in Jerez. The rest of the teams, Red Bull, Williams, Lotus and Sauber, have yet to announce when their cars will be launched.